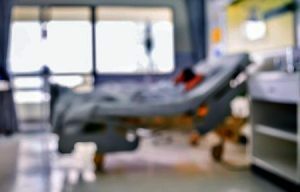 If you have recently suffered from some form of accident or illness which required medical intervention and you feel that something went wrong you may be wondering if medical negligence solicitors in Southampton could help you. Medical negligence arises from inadequate or substandard care or treatment given by a medical professional that resulted in further injury or a worsening of an existing illness or injury. In these instances the affected person is entitled to make a claim for compensation from the organisation which provided the care or treatment. This is quite often the NHS as the biggest provider of health care. Please be aware that medical negligence claims have a time limit of three years although this can be extended in certain circumstances so it is essential that you contact us at the earliest opportunity. The most important factor in achieving a successful claim is having the best medical negligence solicitors working for you. Having a lawyer who is highly experienced in fighting medical negligence cases on your side makes a huge difference in whether you get the right amount of compensation owed to you. An established legal advisory service like Legal Expert can provide you the best solicitor for your particular case. The right compensation award can be life-changing or at the very least can help you through difficult times so begin the process right away. Should You Read Reviews of Local Medical Negligence Solicitors? The default setting for many people whether choosing a holiday or a new sofa is to go online and read reviews. Sometimes these can be informative, as can talking to family and friends who have experience of using solicitors. However, by talking to an independent and trusted legal advisory service like Legal Expert, who cover Southampton and the surrounding area, you can be sure of finding the right medical compensation lawyers for you. Should I Use A Local Medical Negligence Solicitor? Not necessarily. You don’t have to restrict yourself to any particular area. Legal services across the country are accessible to anyone with the means of communication like email, Skype or phone which means that contact with any solicitor is easy whether they are local or further afield. What Medical Negligence Compensation Claims Can We Handle? Legal Expert can help with claims for all kinds of medical negligence resulting in injury or illness or a worsening thereof, and the most common types that we deal with are illustrated below. If you have been a victim of clinical negligence arising from substandard care or treatment in Southampton General Hospital for instance, or in any other hospital private or NHS, we can help you to start a compensation claim. Claims can arise from surgical errors, for example, misdiagnosis or complications arising from inadequate procedures, amongst others. Contact us to see if you could make a compensation claim for dental negligence. You may be unaware that you can make a medical negligence claim against a GP but if you suffer from, or develop an illness or injury or a worsening of an illness or injury as a result of something your GP did or failed to do we can help you make a claim. In cases where cancer is suspected a speedy diagnosis is essential for the best outcome but a delayed diagnosis or misdiagnosis can be catastrophic; cancer can spread and lead to more invasive and lengthy treatment. There can even be fatal consequences of inadequate diagnosis or treatment. By engaging medical compensation lawyers, you could claim on behalf of yourself or others. Many nursing homes provide excellent care, however, there are too many that fall way below acceptable standards. If you feel that you or your relative has received inadequate care, or has been abused or mistreated in some way, we can refer you to medical negligence lawyers who are able to help clients, providing expert help in making a claim for compensation. A specialist medical negligence solicitor can help you identify whether you could be eligible for a claim for NHS medical negligence compensation or for medical compensation against a private hospital. In a claim for medical compensation it is vital that you engage a solicitor not only experienced in medical negligence claims but who offers a Conditional Fee Agreement, also known as No Win No Fee Agreements. By doing so you can claim regardless of your financial position and you only pay legal fees if your claim is successful. This removes the stress and financial risk that can deter many people from making a rightful claim. Be assured that Legal Expert can provide you with medical compensation lawyers who have No Win No Fee structures in place. When you decide to launch a medical negligence compensation claim you need to know that you have the very best solicitors on your side. Legal Expert is a trusted legal advisory service which works with some of the most experienced (30 years and more) solicitors and is waiting to help you claim the maximum amount of compensation to which you are entitled. If you think you may have a case for a compensation claim start by calling Legal Expert on 0800 073 8804 and speak to one of our helpful advisors. Our phone lines are open seven days a week, from 9am until 9pm. We will review your case and provide you with a medical negligence lawyer to help you claim the compensation you deserve and, don’t worry, we will be supporting you every step of the way throughout the claim process. Medical negligence is commonly referred to as clinical negligence and we cover claims for this not only in Southampton and the surrounding areas but other parts of the country too. There are a number of online compensation tools available where you can find out how much you think you may be owed however these are very generalised and may not give you an accurate figure. Below we can give an indication of how much recent clinical negligence claimshave been in the Southampton area according to the NHS Litigation Authority in 2015/16.